Draft: 2009, St. Louis Cardinals, 3rd rd. Joseph William Kelly Jr…married to Ashley Parks, and the couple has a son, Knox (born Feb. 2016)…attended Corona High School in Corona, CA…played at the University of California at Riverside, where he set the team's career saves record (24)...named Big West Conference 2007 Freshman of the Year and 1st Team All-Big West…pitched for Yarmouth-Dennis of the Cape Cod League in 2008…played for USA National Team in 2007, winning a silver medal in the Pan-American Games…son of Joseph Kelly, a former wide receiver for Vanderbilt University who signed with the San Diego Chargers…selected by St. Louis in the third round of the 2009 First-Year Player Draft and signed by Jeff Ishii. Appeared in a new career-high 73 games in relief for the Red Sox totaling 65.2 IP with a 4.39 ERA and holding opposing batters to a .234 average ... On April 1, Kelly earned his first career save after closing out the ninth inning of a 2-1 victory over the Tampa Bay Rays ... In nine appearances during the postseason, posted a 0.79 ERA (11.1 IP/1 ER) and a 2-1 record to help lead the Red Sox to a World Series title ... Pitched in all five games of the World Series without surrendering a run over 6.0 IP and holding batters to a .182 average and striking out 10 against zero walks…picked up the win in Game 4. Appeared in a career-high 54 games in his 1st ML season working exclusively as a reliever...Allowed 0 runs in 42 of 54 appearances. Retired 41 of 54 first batters faced (76%). Set career lows in opponent AVG (.202), OBP (.294), SLG (.279), and OPS (.573)...Among qualified AL relievers, his opponent OPS ranked 14th. Held RHH to a .191 AVG (26-for-136) and LHH to a .222 AVG (16-for-72). Allowed 3 HR in 58.0 IP for a 0.47 HR/9.0 IP ratio, the 11th-lowest mark among AL relievers. Allowed his 1st HR to a RHH on 8/18 vs. NYY (Gary Sánchez); allowed none to his first 100 RHH faced. His 1.19 ERA on the road (4 ER/30.1 IP) ranked 4th in the majors and 2nd in the AL behind only Andrew Miller (0.89) (min. 30.0 IP). In 28 games against opponents outside of the AL East, posted a 1.30 ERA and a .173 opponent AVG (27.2 IP, 4 ER, 17-for-98, 1 HR). Posted a career-best 22.0-inning scoreless streak from 5/1-7/9, the longest of the season for any AL reliever and any Red Sox pitcher...Had the streak snapped in his 2nd inning of work on 7/9 at TB (1.2 IP). Over the course of his 22.0-inning scoreless streak, posted a .184 opponent AVG (14-for-76) and a 0.98 WHIP. His streak of 23 consecutive games without a run allowed was the 3rd-longest in Red Sox history behind Daniel Bard (25 in 2011) and Koji Uehara (27 in 2013). Had his career-best 15-game win streak snapped on 7/9 at TB...The streak, which began on 8/1/15, was the 2nd-longest in Red Sox history behind Smoky Joe Wood's 16-game streak in 1912. Was placed on the 10-day disabled list with a left hamstring strain on 7/15 (retro to 7/12). Made 1 rehab appearance with Triple-A Pawtucket on 8/2 and was reinstated on 8/5. POSTSEASON: Made 2 relief appearances for the Red Sox in the ALDS vs. HOU, earning his first career postseason win in Game 3 (1.2 IP, 2 H). Split the season between BOS and Triple-A Pawtucket...Had 3 stints with the big league club, appearing in 20 games (6 GS)...Went 2-0, 1.02 ERA (2 ER/17.2 IP) in 14 relief appearances for BOS. In 27 relief appearances between BOS (14 G) and Pawtucket (13 G), posted a 0.80 ERA (3 ER/33.2 IP) with a .200 opponent AVG (24-for-120) and 46 SO against only 7 BB (12.3 SO/9.0 IP). Had 2 stints with the Red Sox as a reliever and 1 as a starter...Opened the season in BOS' starting rotation. Was removed in the 1st inning on 4/19 vs. TB...Missed time on the DL (right shoulder impingement) from 4/20- 5/20...Made 3 starts for Pawtucket on a rehab assignment. Was reinstated from the DL on 5/21 and earned the win that night vs. CLE (6.2 IP, H, 0 R, 3 BB, 7 SO). Allowed 7 runs in 2.1 IP in his next start on 6/1 at BAL and was optioned to Pawtucket following the game. Went on the DL at Pawtucket with a right groin strain on 6/9...Pitched only in relief for the remainder of the season...Made 3 appearances for Short-A Lowell during a rehab stint from 7/6-11 (4.0 IP, 2 ER, BB, 5 SO). Activated by Pawtucket on 7/14...His first 4 appearances were scoreless (5.0 IP, BB, 11 SO). Recalled by BOS on 7/24 and made 3 appearances from 7/25-30 (1 ER/3.2 IP). Optioned back to Pawtucket on 8/1...Following his option, allowed only 1 run over 11 Triple-A appearances in 11.0 IP (0.82 ERA) with 1 BB and 16 SO. Was recalled by BOS on 9/2 and went 2-0, 0.64 ERA (1 ER/14.0 IP), 3 BB, 20 SO over his final 11 appearances... Held opponents to a .180 AVG (9-for-50) over that span. Earned the win in BOS' 7-5 walk-off victory on 9/15 vs. NYY, starting the team's season-best 11-game win streak. POSTSEASON: Appeared in each of the Red Sox' 3 ALDS games and retired all 11 batters faced (3.2 IP, 3 SO)... Stranded his only inherited runner of the series in Game 1. In 1st full season with the Red Sox, set career highs in starts (25), IP (134.1), SO (110), and SO/9.0 IP (7.4) despite a stint with Triple-A Pawtucket and making his final appearance of the season on 9/15. Posted a 3.77 ERA (25 ER/59.2 IP) in his last 11 starts beginning 7/22, following a 4-start stint with Pawtucket...Had a 2.35 ERA (12 ER/46.0 IP) in his final 8 starts beginning 8/7, 4th best in the AL (min. 30.0 IP). 10 wins tied a single-season career high (also 2013 with STL). Held opponents to a .151 AVG (8-for-53) with RISP and 2 outs. Began the year on the 15-day DL with a right biceps strain...Placed on the DL on 4/3 (retro to 3/27), but made season debut starting BOS' 5th game on 4/11 at NYY...Surrendered just 1 ER over 7.0 IP, setting a career high with 8 SO...Surpassed that with 10 SO in 6.0 IP 3 starts later on 4/27 vs. TOR. Fanned 28 batters in 23.2 IP over 4 starts in April...His 10.7 SO/9.0 IP in the month ranked 2nd in the AL (min. 20.0 IP), trailing only Clay Buchholz (11.9). Posted a 5.67 ERA through 14 starts before being optioned to Pawtucket on 6/25...Went 1-1 with a 2.84 ERA (6 ER/19.0 IP), 18 SO, and a .206 opponent AVG in 4 starts with the PawSox before being recalled on 7/22. After giving up a career-high 3 HR on 7/22 at HOU, allowed just 4 HR over his last 10 starts of the year beginning 7/27...His 0.66 HR/9.0 IP ratio in that time was 7th best in the AL (min. 50.0 IP). Won a career-best 8 consecutive starts from 8/1-9/9 (2.59 ERA, 14 ER/48.2 IP), the only AL pitcher to do that all year...Marked the longest streak of consecutive starts won by a Red Sox pitcher since Pedro Martinez won 9 straight in 1999 (4/20-6/4)...Tied his career-long 8-game win streak, also 7/12-9/6/13 with STL over 10 starts. Went unbeaten in his last 10 starts beginning 7/27 (8-0, 3.48 ERA, 21 ER/54.1 IP), tying the AL's longest unbeaten streak to end the year (also TEX's Cole Hamels). Won all 6 August starts, the 1st Red Sox to win 6 games in any month since Pedro Martinez (May 1999) and 1st to earn 6 wins in August since Roger Clemens in 1990...According to Elias, was the 2nd AL pitcher ever to win at least 6 games in a calendar month without a loss for a team that was in last place every day of that month (also CLE's Sam McDowell, 6-0 in June 1969). Went 2-0 with a 2.45 ERA (5 ER/18.1 IP) and no HR allowed in 3 Interleague starts (6/17 at ATL, 8/29 at NYM, 9/4 vs. PHI)...Allowed no more than 2 ER in any of those 3 starts. In his final start on 9/15 at BAL, was removed after 2.1 IP with right shoulder tightness, snapping an 8-start winning streak...Did not factor into the decision, keeping his 10-start unbeaten streak alive. Combined to go 6-4 with a 4.20 ERA (45 ER/96.1 IP) in a career-high 17 starts between the Cardinals and Red Sox...Traded to BOS at the non-waiver trade deadline...Limited to 7 starts with the Cardinals over the first 4 months of the season due to injury...Allowed 1 ER (3 R total) over first 3 starts from 4/5-16 (0.59 ERA, 15.1 IP) but left his 3rd start on 4/16 at MIL after 4.0 innings due to a left hamstring injury suffered while running the bases...Placed on the 15-day DL on 4/17 and transferred to the 60-day DL on 6/25...Had a 2.61 ERA (3 ER/10.1 IP) in 3 rehab starts with Triple-A Memphis and was activated on 7/11...Acquired with OF/1B Allen Craig on 7/31 for RHP John Lackey, LHP Corey Littrell, and cash considerations...Slotted into Boston's rotation and made 10 starts over the final 2 months of the season...In that time, led the team with a 4.11 ERA (min. 30.0 IP)...His 10 starts tied for the club lead from his 8/6 debut through the end of the regular season (also Clay Buchholz)...Allowed 2 runs or less in 5 of those starts, and gave up 3 ER or less 7 times...From 8/1 on, ranked among AL leaders in opponent AVG (6th, .215) and opponent SLG (9th, .320)...Allowed 2 runs or less in 4 of his first 5 starts with BOS, leading club starters in August ERA (3.86)...Made Red Sox debut against his former team on 8/6 at STL...Allowed 1 run in 7.0 IP but did not factor into the decision in Boston's eventual 2-1 win...Stole 3B on 8/12 at CIN for his 1st career SB...Was the 1st SB by a Red Sox pitcher since Bill Landis on 9/8/69 at CLE, and the 1st steal of 3B by a Sox hurler since Tom Brewer on 7/30/59 at CLE (Source: Elias Sports Bureau)...Gave up a career-high 7 ER in 4.0 IP on 8/17 vs. HOU, his only outing with the Red Sox allowing more than 4 ER...Had a 3.30 ERA (21 ER/57.1 IP) in his other 9 starts for BOS...Over his last 7 starts beginning 8/22, posted a 3.65 ERA (18 ER/44.1 IP) and .201 opponent AVG (32-for-159)...Removed from the game due to precautionary reasons (shoulder) on 8/22 vs. SEA after throwing 5.0 innings with 1 hit...Returned on regular rest on 8/27 at TOR...Won 4 of his 5 starts in September, most on the team, including his 1st win as a Red Sox on 9/2 at NYY (6.2 IP, 3 R). Made 15 starts for the Cardinals and 37 appearances in his first full season in the majors... Recorded a 2.69 ERA, ranking 9th among all Major League pitchers with 100.0+ innings pitched... Began the season out of the bullpen before moving into a starter's role in July... Went 9-3, 2.28 ERA in his starts, allowing 2 runs or less in 11 of the 15. Had a .247 opponent batting average and allowed just five home runs as a starter... Went 1-2, 3.65 ERA in 22 appearances out of the bullpen... St. Louis won nine of his last 11 starts and 11 of 15 overall... Won five straight starts and eight straight decisions 7/12-9/6 before losing 5-3 on 9/12 at MIL. The eight-straight wins were a club high... Worked into the 6th inning in 13 starts and eight of his 15 starts were quality starts,... Posted a 1.97 ERA (23 ER/105.1 IP) after 6/1, 3rd among all MLB pitchers (min. 90 IP) to MIA's Jose Fernandez-1.50 & LAD's Clayton Kershaw (1.82)... His last relief appearance came on the final day of the regular season, pitching 5.1 scoreless innings after Jake Westbrook made a 1.0 inning start... Allowed just one earned run in his last seven relief appearances (19.1 IP, 0.47 ERA)... Had a 19.2 scoreless innings streak snapped when the Dodgers scored a run in the 6th inning of his 8/6 start. The streak was a then team season high and spanned 4 starts (final 2.1 frames of 7/12 at CHI, 6.1 at ATL 7/27, 6.0 at PIT 8/1, first 5.0 vs. LA)... Made back-to-back starts against PIT, allowing one run in 6.0 IP in each game: 9/1 at PIT and 9/6 in STL.Started four games during the 2013 playoffs with St. Louis going 2-2 in his starts while Joe went 0-1 with a 4.15 ERA...allowed two earned runs in 5.1 IP of Division Series Game 3 start vs. Pittsburgh (no decision)...started Game 1 of the League Championship Series vs. Los Angeles Dodgers and did not get a decision in the 3-2, 13-inning win...pitched 6.0 innings in Game 1 and allowed two runs on six hits (2BB, 5K)...suffered the loss in LCS Game 5 at LA, allowing 4 ER in 5.0 IP (0BB, 3K, 2 HR)...did not get a decision in his World Series Game 3 start as he allowed two runs over 5.1 IP on 2 hits, 3 walks with 6 K's. Began season in Memphis (AAA), starting 12 games before promotion to St. Louis, where he made 16 starts (24 app.). Recalled from Memphis on 6/10, one day after his 24th birthday, making Major League debut vs. CLE throwing 5.0 innings allowing one run on seven hits in a no decision.Made 24 appearances in the Majors including 16 starts. Ranked T5th among National League rookies with 107.0 innings pitched and T9th with 75 strikeouts. His 3.53 ERA ranked 2nd among NL rookies with 100 innings pitched or more. Recorded 10 starts of 6.0 IP or more, with a career-high of 6.2 vs. NYM (9/3), and registered a quality start in each of the 10. Was 4-6 with a 3.74 ERA in 16 games started with 10 quality starts as a starting pitcher. As a reliever was 1-1 with a 2.30 ERAin eight appearances, striking out 16 in 15.2 IP. Retired the first batter faced in every relief appearance. Set the Cardinals season high for innings in a relief appearance with 5.2 IP vs. PIT in a 19 inning game on 8/19. Recorded first relief win in his second relief appearance tossing 3.0 IP at CIN (8/24) with six strikeouts (most by a Cardinals reliever in 2012), also his season high. First Major League hit came in the 10th inning at Miami(6/25) beating out an infield single for the game-winning RBI. Scored the game-winning run as a pinch-runner in the 12th inning vs. LAD (7/25). Batted .152 with two doubles and two RBI. The Cardinals won four of the five games in which he recorded a hit. At Memphis (AAA), posted a 2-5 record with a league-leading 2.86 ERA in the Pacific Coast League at the time of his recall. Received an invite to Spring Training as a relief pitcher...Appeared in 23 games, starting 22 between High-A Palm Beach and Springfield (AA), posting 13 quality starts...Voted to the Florida State League South All-Star team; entered the game in the 7th, allowed one run on one hit with one K...Ranked in the Top 10 among Cardinals farmhands in wins (11, T3rd), innings pitched (132.0, 9th), ERA (3.68, T10th), strikeouts/9 IP (7.70, 9th) and games started (22, T10th)...Induced 16 double played on the season, eight each at Palm Beach and Springfield...Ran off four consecutive wins from 5/24 to 7/4 in Palm Beach...Registered eight quality starts in Palm Beach with three starts of 7.0 IP or more and allowed only 1 ER in all three...Fired 7.2 innings at Dunedin (5/31) allowing one run on one hit with nine strikeouts in a win...Surrendered only one home run in 72.2 IP and did not allow more than four runs in any start at Palm Beach...Won six games in Springfield ranking T4th on the team in wins. Won his last three consecutive starts (8/22-9/1)...Registered a decision in 10 of his 11 starts in Springfield...Threw a career-high 8.0 ings. in his second start at Springfield at NW Arkansas (7/16), allowed two runs on three hits in a win...Posted a .273 batting average at Springfield (3-11). Hard throwing RHP moved into a starting role with 18 starts in 26 appearances following a year of 16 app. and two starts. ... Started 12 consecutive games beginning on 6/20 after alternating starts over first 13 appearances of the season. ... Named Midwest League Pitcher of the Week (7/26-8/1) after striking out a career-high 11 batters in 6.2 IP (3 H, 1 R, 0 ER). ... Won three consecutive decisions (4 starts) from 7/10 to 7/28, posting a .249 ERA and 24 strikeouts in 21.2 innings. ... Converted only save opportunity of the season (5/30 at BUR), throwing 4.0 hitless innings allowing one unearned run. ... Had a stronger record at home posting a 6-3 mark at Modern Woodmen Park as opposed to 0-5 on the road. ... Posted quality starts in all five games in which he threw 6.0 innings or more. ... Led the team with 12 wild pitches, ranked second with seven hit batsmen. ... Induced 14 double plays, ranking third on the team. ... Did not allow more than six hits in any appearance until his 25th appearance of the year in which he surrendered 10. ... Rated as the 10th-best prospect in the Cardinals organization by Baseball America. Made 16 appearances with two starts at Batavia...ranked 3rd among Cardinals minor leaguers in toughest to HR off, not allowing a HR in 138 total batters faced...earned first professional win working 1.2 innings of relief vs. Jamestown (7/24)...nine of his 14 relief appearances were four outs or more...struck out fourbatters in four appearances...posted a strong reverse split holdingLH batters to a .220 BA (13-59)...earned first professional savewith a perfect inning of relief vs. Mahoning Valley (7/11)...rankedT-5th among Batavia relievers with 16 appearances and 4th withsix games finished. December 21, 2018 Los Angeles Dodgers signed free agent RHP Joe Kelly. 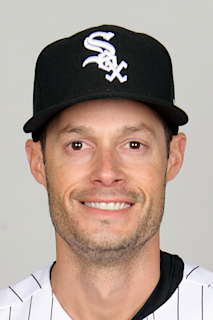 October 29, 2018 RHP Joe Kelly elected free agency. May 2, 2018 Boston Red Sox activated RHP Joe Kelly. April 26, 2018 RHP Joe Kelly roster status changed by Boston Red Sox. August 5, 2017 Boston Red Sox activated RHP Joe Kelly from the 10-day disabled list. August 2, 2017 RHP Joe Kelly assigned to Pawtucket Red Sox. August 2, 2017 Pawtucket Red Sox activated RHP Joe Kelly. July 15, 2017 Boston Red Sox placed RHP Joe Kelly on the 10-day disabled list retroactive to July 12, 2017. Strained left hamstring. September 2, 2016 Boston Red Sox recalled RHP Joe Kelly from Pawtucket Red Sox. August 1, 2016 Boston Red Sox optioned RHP Joe Kelly to Pawtucket Red Sox. July 24, 2016 Boston Red Sox recalled Joe Kelly from Pawtucket Red Sox. July 14, 2016 Pawtucket Red Sox activated RHP Joe Kelly from the 7-day disabled list. July 6, 2016 Pawtucket Red Sox sent RHP Joe Kelly on a rehab assignment to Lowell Spinners. June 12, 2016 Pawtucket Red Sox placed RHP Joe Kelly on the 7-day disabled list retroactive to June 9, 2016. June 2, 2016 Boston Red Sox optioned RHP Joe Kelly to Pawtucket Red Sox. May 21, 2016 Joe Kelly roster status changed by Boston Red Sox. May 6, 2016 Boston Red Sox sent RHP Joe Kelly on a rehab assignment to Pawtucket Red Sox. July 22, 2015 Boston Red Sox recalled RHP Joe Kelly from Pawtucket Red Sox. June 25, 2015 Boston Red Sox optioned RHP Joe Kelly to Pawtucket Red Sox. April 11, 2015 Joe Kelly roster status changed by Boston Red Sox. August 2, 2014 Boston Red Sox activated RHP Joe Kelly. July 11, 2014 St. Louis Cardinals activated RHP Joe Kelly from the 60-day disabled list. June 27, 2014 St. Louis Cardinals sent RHP Joe Kelly on a rehab assignment to Memphis Redbirds. June 25, 2014 St. Louis Cardinals transferred RHP Joe Kelly from the 15-day disabled list to the 60-day disabled list. June 10, 2012 St. Louis Cardinals selected the contract of RHP Joe Kelly from Memphis Redbirds. April 2, 2012 Joe Kelly assigned to Memphis Redbirds from Springfield Cardinals. January 18, 2012 St. Louis Cardinals invited non-roster RHP Joe Kelly to spring training. July 7, 2011 Joe Kelly assigned to Springfield Cardinals from Palm Beach Cardinals. April 4, 2011 Joe Kelly assigned to Palm Beach Cardinals from Quad Cities River Bandits. January 14, 2011 St. Louis Cardinals invited non-roster RHP Joe Kelly to spring training. April 5, 2010 Joe Kelly assigned to Quad Cities River Bandits from Batavia Muckdogs. July 1, 2009 Joe Kelly assigned to Batavia Muckdogs from St. Louis Cardinals. June 17, 2009 St. Louis Cardinals signed RHP Joe Kelly.